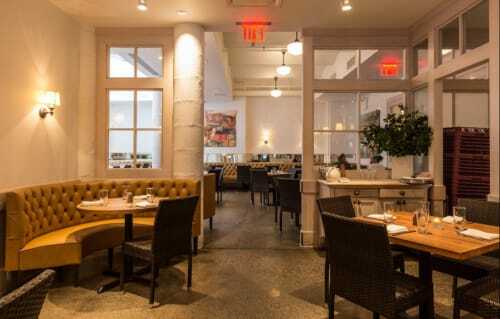 Located in the Bazzini building on the corner of Greenwich Street and Jay Street, is Sarabeth's. Sarabeth’s Tribeca features a private dining room and a grand Skylight Room for special events. This venue is suitable for variety of events such as anniversaries, birthdays, corporate events, fundriaser, graduation, and much more.